Portable app creator normally uses application virtualization technology to create a portable version of a software. A portable application does not require installation and can be brought to everywhere. How does portable app creator works? It usually scans the system before and after installing an application and analyses the changes. 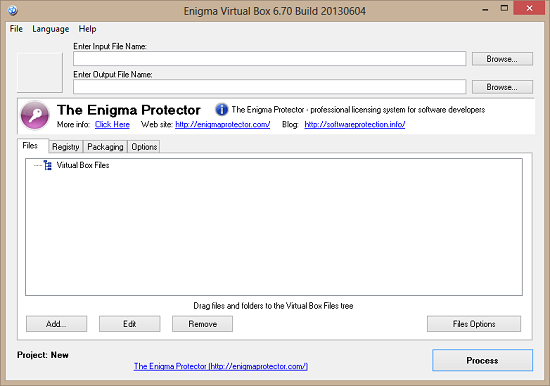 Then, it converts the installed files, DLLs, and registries into a single executable (.EXE) file. 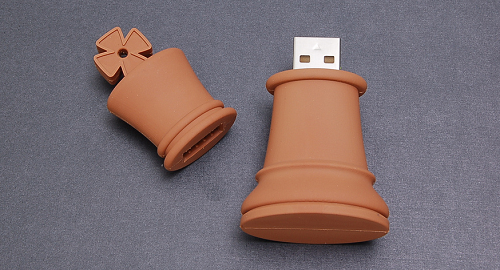 If you are unable to find the portable version of a program and you wish to create one, you are at the right place. Here are 5 portable app creators to make any software portable. For Windows users only. A powerful application virtualization software that is perfect for professionals to simplify application deployment and migration process. User can no longer purchase ThinApp as a standalone software, which is now bundled with VMware Horizon, Mirage, and Workspace Portal. Creating a virtual application is easy by following the step wizard. 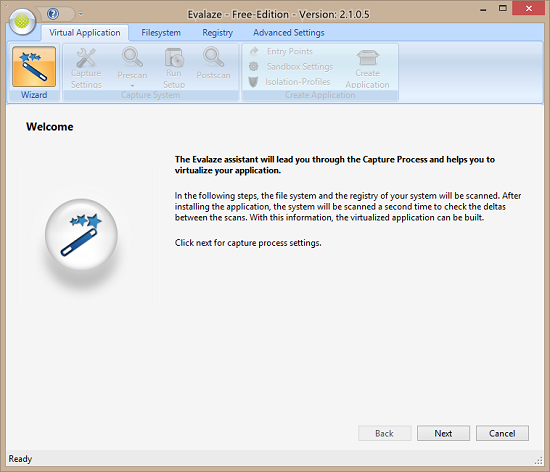 There are 5 major steps required: Prescan -> Installation -> Postscan -> Configure -> Build. Cameo is a lightweight and robust portable app creator. It also has an extensive app library which includes over 300 popular virtual apps. Besides, you can store your apps in a cloud drive, so that you can download them from anywhere. 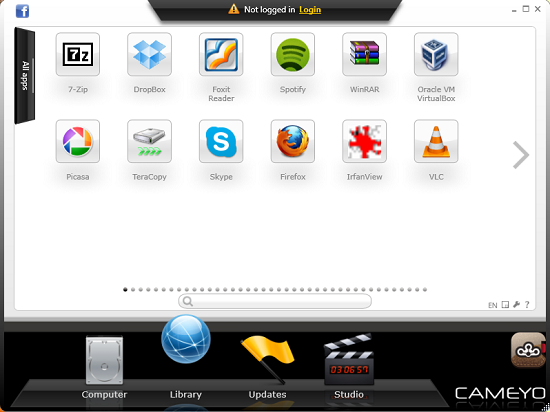 To start using Cameyo, you have to register for a free account and login. You can then download any portable apps from its library or add apps in your cloud drive. To create your own virtual application, you can either capture the application locally or online, which are both pretty easy to do. If the application is not from your desktop or it needs to be modified, use the template wizard, which includes a list of popular applications. If you wish to turn an installed software in your system to portable, you can scan your desktop for installed applications. If the software isn’t installed in your computer, you can use a snapshot process to virtualize third-party applications. If you want to manually configure virtualization settings, select the last option. Suitable for developers only. 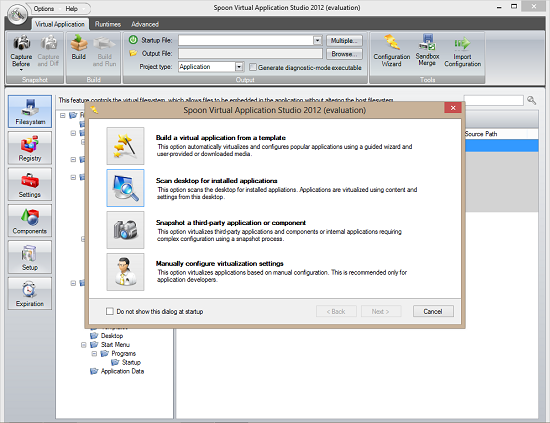 Another application virtualization system for Windows. Combines all application files and registries into an executable file. To virtualize an application, simply include the main executable file of the application as input file and any related files of the application. Evalaze is compatible with Windows and Windows Server machines. Creating a portable app is easy by following the instructions given by the Evalaze assistant. It will first run a prescan to scan registry and file system before the installation of the application. Once the installation is completed, a post scan is performed to identify the changes on your system, in order to create a portable version of your application. To avoid the hassle of creating portable applications from commonly used software, here are some portable app suites that collect hundreds of popular software and games. Apart from their large collection of portable apps, these portable app suites also help you to manage, update, and secure your downloaded apps. LiberKey – LiberKey has near 300 applications in its catalog. Choose 1 of the 3 suites available: basic, standard, or ultimate, according to your needs. PortableApps – The most popular portable app suite. PortableApps has over 300 applications in its library and it allows you to customize the look of PortableApps platform. winPenPack – winPenPack collects most of the popular open source software. You can choose between winPenPack Essential and winPenPack Full, depending on your pendrive capacity. Lupo PenSuite – Lupo PenSuite has over 160 portable programs. There are 3 versions available: full, lite, and zero. Which of these, if any, will allow me to make a Windows 98 app portable? VMWare ThinApp does *not* support Windows 98. I think you would need to create a VM with Windows 98 and use Cameyo on it (my suggestion, which can also be portable so it doesn’t need to be installed). Build the app and move it the the newer Windows OS. As a note, simple Windows 98 apps usually work in compatibility mode but good luck! Windows 98 programs should be automatically portable, that was before the registry was used to store config information. OK apparently lots of options..
Any work with something like iTunes 12 x64? You can also request a program you would like portable, and I’ll do the possible!